The Washington County Sheriff’s Office is partnering with State Officials to educated area drivers about distracted driving. Throughout the month of April, drivers can expect to see an increased presence by law enforcement and educational campaigns throughout the State. The Washington County Sheriff’s Office is committed to helping spread the message that distracted drivers are not only a danger to themselves, but everyone else on the road. Fines for using a handheld cell phone are $83 for the first offense, $140 for the second offense and $160 for the third offense. Any driver who causes serious injury or death while using a handheld cell phone or texting may receive a prison sentence of up to 3 years and a fine of up to $5,000. Drivers can also be ticketed for writing, sending, or reading a text or electronic message while driving. The fine is $70 and one point on your license and may increase to $110 and three points if use of the device contributes to a crash. 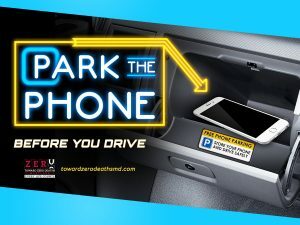 The goal of this campaign is simple – saving lives by getting drivers to always ‘Park the Phone’ before they drive”. The Washington County Sheriff’s Office will be holding a One-Day Applicant Processing Event for the position of Correctional Deputy on Saturday, May 11, 2019 at 8:00 AM. The event will be held at the Detention Division of the Washington County Sheriff’s Office, 500 Western Maryland Parkway Hagerstown, MD 21740. Applicants MUST turn in their completed application to SGT Steve McCoy by May 3, 2019, in order to be registered for the One-Day Applicant Processing Event. Pre-employment packets can be found on the Washington County Sheriff’s Office website, www.washcosheriff.com, under the employment tab or by contacting SGT Steve McCoy at 240-313-2124. The pre-employment packet includes a physician’s certificate, which MUST be signed by a physician in order for the applicant to be eligible to participate in the process. Without the completed packet you will not be eligible to test on May 11th. This Processing Event is only for the position of entry level Correctional Deputy. Minimal qualification for the position of Correctional Deputy can be found on the Sheriff’s Office website, www.washcosheriff.com, under the employment tab. Anyone with questions in reference to the One-Day Applicant Processing Event should contact SGT Steve McCoy, 240-313-2124. 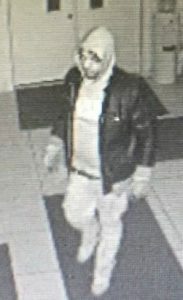 The Washington County Sheriff’s Office is asking for the community’s assistance in identifying a male connected with burglaries in Washington County. 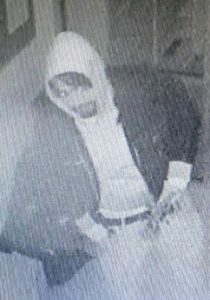 The burglaries took place during the early portion of February,2019. 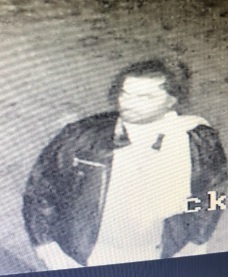 Anyone with information on the male’s identity is asked to contact Det. Klappert at 240-313-2183.